It's our pleasure to welcome our friend, the dynamic Leslie Karst, as our special guest here today. Leslie has a wonderful recipe for Spaghetti alla Carbonara which we can't wait to try and a fabulous giveaway. Make sure you read to the end and leave a comment to get in on the giveaway action. Now here's Leslie on the background to this delicious dish. 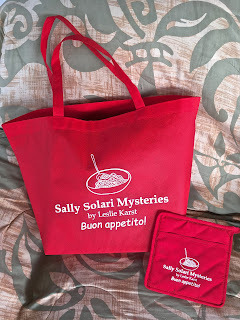 One of my sleuth Sally Solari’s favorite dishes to whip up for company is spaghetti alla carbonara. Not only is it about as simple as it gets to make—thus allowing Sally the luxury of enjoying pre-dinner cocktails along with her guests—but the combination of bacon, olive oil, butter, cheese, and eggs makes this pasta sinfully rich and delicious. The origin of this dish’s name is hotly disputed, but most folks agree that it likely has something to do with the Italian word carbone (charcoal). Some claim the dish was invented by coalminers; others argue it was originally cooked over a charcoal flame; and still others assert that the name derives from a kind of charcoal-cooked ham that was once used for the pasta. Bring a large (at least 4 quart) pot of water to a boil. Add the spaghetti and 1 tablespoon salt, and cook over high heat until al dente (still slightly firm in the center, 8-10 minutes), stirring occasionally to prevent sticking. In a serving bowl large enough to hold the pasta, beat the eggs with the grated cheese. Add the pancetta or bacon (along with all the butter and oil), and toss again. A MEASURE OF MURDER, book two in the Sally Solari culinary mystery series, was just released on February 7, 2017 (Crooked Lane Books). It's still warm to the touch! 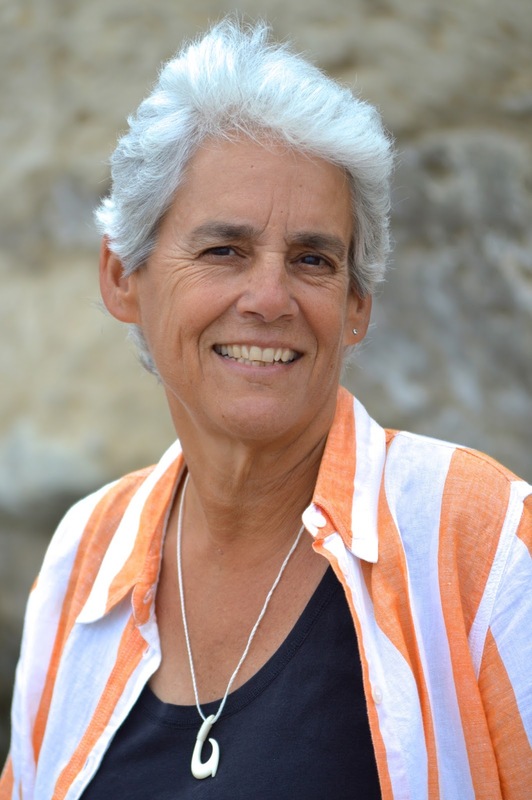 Sally Solari is busy juggling work at her family’s Italian restaurant, Solari’s, and helping plan the autumn menu for the restaurant she’s just inherited, Gauguin. Complicating this already hectic schedule, she joins her ex-boyfriend Eric’s chorus, which is performing a newly discovered version of her favorite composition: the Mozart Requiem. But then, at the first rehearsal, a tenor falls to his death on the church courtyard—and his soprano girlfriend is sure it wasn’t an accident. We're intrigued! Now just who is Leslie Karst? As well as a hardcover copy of A MEASURE FOR MURDER, Leslie is offering this great Sally Solari swag! Leave a comment and don't forget your email addy and you could be the lucky winner. The winner will be announced on the sidebar later this week! I think it would make for a great midnight (or 1:30 a.m.) snack, actually! Terrific giveaway, who doesn't like pasta, and with bacon, yum! And with a sleuth named Sally this is a must-read! Yay for Sallys the world over! 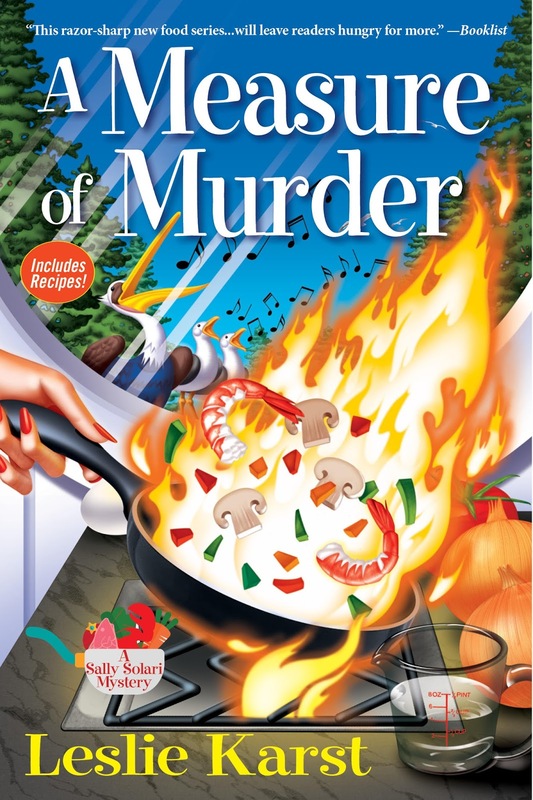 I'm glad to find a new culinary series. suefoster109 at netzero.net. This look great! I've never added the cheese into the eggs. That's something I need to try. Welcome, Leslie! Great dish--it's a staple at our house. Even my husband makes it. And your series sounds delicious too. Love this recipe; Leslie's book looks enticing! My mom made a similar dish for our family when we were kids and it was always a big hit. And if you make the full recipe, it serves 6, easily. I'm going to save the recipe to my Pinterest page and play with it when I have time. I have to figure out what I can replace the cheese with or else find a soy based bacon substitute for the bacon. Yes please I'd love to be entered in the giveaway and add this great book to my home library. Thanks for the recipe - love Spaghetti alla Carbonara. I'm always ready for a new cozy mystery!! Thanks for offering this giveaway! This is an entertaining book. I enjoyed reading it. In the book you list 1 tablespoon of salt in the ingredients. But here you say salt and pepper with no specific amount. The 1 tablespoon salt in the book is to be added to the pasta water (Sorry that I neglected to include that in the ingredients list here!--Good eye, Libby!). The S&P at the end are to season the finished dish, to taste. I seem to be the unofficial "eyes" here! I love Italian food so I'll have to try this recipe. Would it be possible to lighten it up a bit by draining off the bacon grease? (Only deleted because I wanted to revise it.) If you don't want the bacon fat, then cook the bacon first, drain off the fat, and then melt the butter with the cooked bacon. And you might want to drizzle some milk or cream on the dish at the end, so it doesn't end up too dry from the lack of bacon fat.